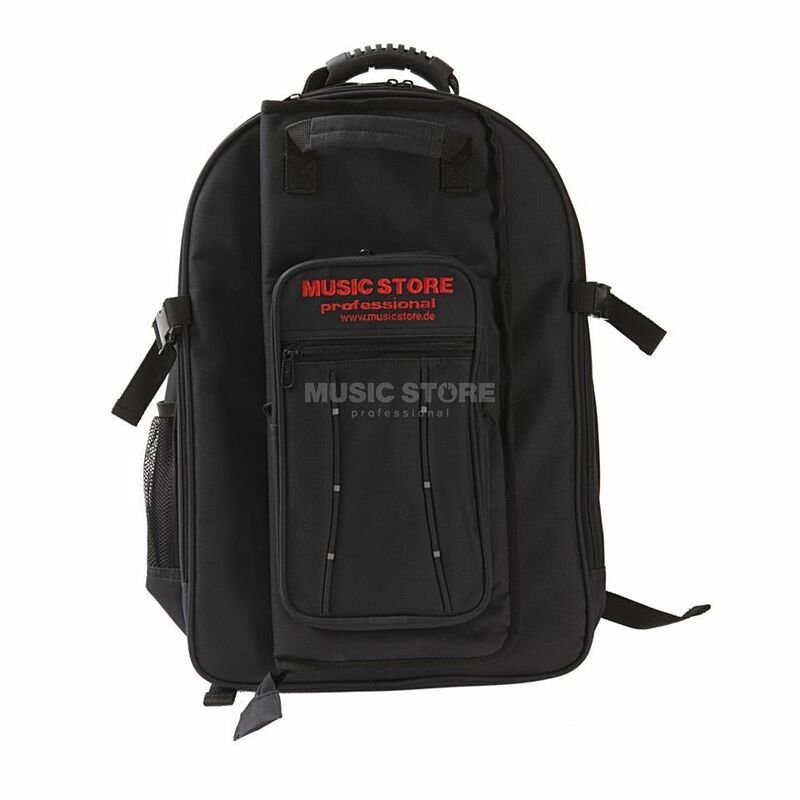 The Music Store Drummer Backpack incl. Stickbag is a spacious backpack especially designed for drummers. The backpack for live musicians offers enough space for wardrobe, books, towels and tools as well as in-ear equipment. In addition there is a laptop compartment in which a PC or MAC up to 13" can be stored. The interior of the Music Store backpack is intelligently divided into several compartments, so that everything stays in place and is quickly at hand during the gig or sound check. The shoulder straps and the inner compartments are comfortable and high quality padded, so the drummer backpack can be carried longer without getting uncomfortable, also the utensils inside are well protected. ...and has a detachable stickbag! Another highlight is the removable stickball. It is fixed on the back with a zipper. Up to 12 pairs of drumsticks, rods, jazz brushes or mallets fit into the stickball. It can also be used separately and hung on the Floor-Tom, for example. Bag is good, exept stickbag handling, it's very poor and difficult put it back to place! I don't like. Otherwise bag is good, many possible in side.